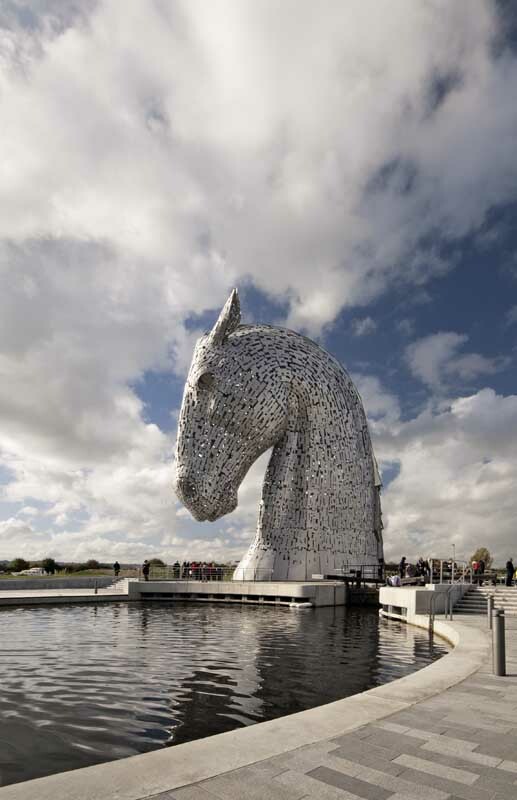 Paid my first visit to see Andy Scott's enormous steel sculptures of the water horses.The weather was ideal, but unfortunately it was a school holiday and the site was hoaching and the trick was to try and get shots which were as uncluttered as possible with people. Tried a new technique for me: taking several images of the same scene and them combining them in Photoshop as overlying layers from which moving individuals could be erased. Worked quite well except that the lighting was changing as the clouds scudded by and some people stood around too much and appeared on each of the shots and so could not be "lost".